Damn, Lagss is a freakin' BEAST! Does anyone think that the Japanese voice of the Saibaimen sound unbelievably cuuuuuute? What if Vegeta was also wished into a kid? How strong would Nappa be if he obtained Super Saiyan Berserk or Super Saiyan Full Power or Legendary Super Saiyan or whatever that form wants to be called? God at this point, you might as well just mix all the names and call it Legendary Super Saiyan Full Power Berserk. Here's a pretty interesting What If. What if Goku landed in the Hidden Leaf Village during Kurama's attack, became Oozaru, and was actually sealed inside of Naruto? 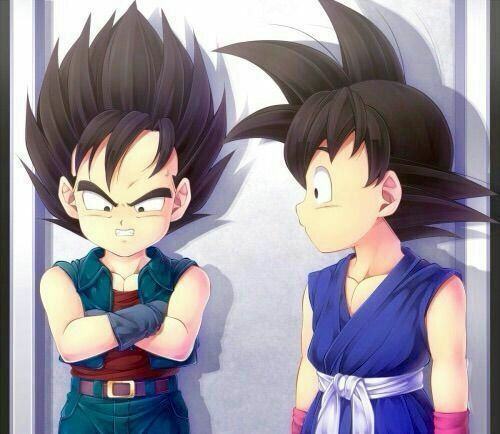 Gine vs all of OG Dragon Ball? Gine may be pretty weak for a Saiyan, but is she an absolute BEAST compared to at least most of OG Dragon Ball? What if Freeza actually listened to Goku's advice on Namek? You know, if we did somehow get a dub of Heroes, I would who´d be a good English voice actor for Cumber? If Funimation were to make a dub of Super Dragon Ball Heroes, which when that's happening is probably never, but if they did, who'd be a good voice actor for Cumber? This may have been shared on this site before, but I wanted to share it anyway because I love Kill La Kill and Ryuko reminds me so much of Caulifla.